Shakespeare touched the Arab world astonishingly early. In 1608, during the 3rd voyage of the East India Company, on the island of Socotra at the entry to the Gulf of Aden, the crew of the Red Dragon staged a performance of Hamlet, a play then less than a decade old, and published only 5 years previously. The ship’s captain William Keeling obviously shared Shakespearean interests with his patron (and major East India Company member) the Earl of Southampton (see Holderness and Loughrey, ‘Arabesque’, 2006). On the stage … Shakespeare was not merely modernized, but aggressively modified to satisfy the expectations of the fashionable audiences that filled the theatres … turned … into a contemporary playwright, at once modern and highbrow, for the theatrical environment in which he was now performed … (Kastan, p. 14). This ungenerous view of the Restoration theatre is echoed in Mahmoud Al-Shetawi’s harsh judgement of early Arab Shakespeare: ‘Overall, the early stage productions of Hamlet were crude, vulgarizing Shakespeare’s masterpiece in order to please the illiterate audience’ (Shetawi, p. 46). Alexander Pope said much the same of the Lord Chamberlain’s Men. Free adaptation from French models continued to be the norm in Arab cultures: the translation of Hamlet made by Khalil Mutran from the French (1916), in which Hamlet kills Claudius and ascends the throne, remained popular in Egypt for many years. Shakespeare’s absorption into Middle Eastern culture was not therefore by any means a simple process of imperialist transmission and passive colonial reception. ‘Shakespeare’ wrote Nadia Al-Bahar ‘was transplanted into Arab soil’ (Al-Bahar, p. 13). ‘Transplanted’ indicates not a simple exchange but a cross-cultural migration across borders, in which the artefact becomes rooted in different soil, and there adapts itself to the local climate and conditions. Hamlet has been ‘assimilated’, said Al-Shetawi, thoroughly woven into the ‘fabric of Arab creative processes’ (p. 60). Hamlet was continuously produced in Egypt from the late 19th century onwards, in several different translations. This performance tradition did not on the other hand produce a consistent ‘Arab’ interpretation of Hamlet. ‘The play’, writes Al-Shetawi, ‘has always been known to the Arab audience and frequently staged in the Arab world’; but it has also ‘always been adapted to suit the conditions of local Arab theatres and native culture’. Appropriations have for example been sharply divided between heroic and anti-heroic Hamlets: sometime in the late 1970s, Hamlet the romantic freedom fighter of the postcolonial tradition gave way to a series of Hamlets disarmed, impotent and emotionally crippled by the weight of their destiny. These divergences can be seen in productions and adaptations from Egypt, Syria and Tunisia: Hamlet wakes Up Late (Syria 1976); A Theatre Company Found a Theatre and Dramatized Hamlet (Tunisia and Jordan 1984); Dance of the Scorpions (Egypt 1989); Forget Hamlet/Ophelia’s Window (Egypt 1994). All these plays deploy technical devices to challenge the norms of conventional theatrical representation; all are sceptical about the power of words to achieve change. Claudius is invariably the powerful Arab despot, while Hamlet is the ‘Arab intellectual, a figure who is commonly portrayed as impotent when it comes to responding positively to the miserable conditions of his country’ (Al-Shetawi, p. 48). This complex tradition was one of the starting-points for Sulayman Al-Bassam’s The Al-Hamlet Summit, first performed, in Arabic with English surtitles, as part of the Edinburgh International Fringe Festival, in August 2002, where it was awarded the Fringe First Award for excellence and innovation in writing and directing. It was subsequently presented at the 14th Cairo International Festival of Experimental Theatre, in September 2002, where it won Best Performance and Best Director Awards. Subsequently it has played at the Riverside Studios in London (March 2004), the Singapore Arts Festival (June 2005), and at Elsinore Castle in Denmark (August 2005). The work had previously been through various adaptations of the Shakespeare text, from 2001 onwards, performed by the Zaoum Theatre Company: Hamlet in Kuwait, performed in Kuwait (2001), and The Arab League Hamlet, performed at a festival in Tunisia (2001). The earlier versions were both adaptations of the Shakespeare text. The Al-Hamlet Summit by contrast jettisoned Shakespeare’s language and rewrote Hamlet into modern English with a strongly Arabic flavour, producing what the author called a ‘cross-cultural construction’ (Al-Bassam 2003). Al-Bassam produced and performed versions in both Arabic and English. This edition for the first time makes available a definitive text of The Al-Hamlet Summit in both English and Arabic. At the end of the play Fortinbras clearly intends to sustain this policy and this faith: ‘It won’t be easy, terrorism is not yet defeated, but the pipeline will be completed within a year’. Just as in Hamlet Claudius recognises that the real enemy of his regime lies within, so Claudius and Polonius in The Al-Hamlet Summit are vigilant against signs of domestic subversion. Opposition and dissent are read as fundamentalist terrorism. Polonius sees in Hamlet’s letters to Ophelia the ‘apocalyptic imagery’, the ‘yearning for violent and comprehensive change to the world order’ which are naturally linked with ‘terrorist activities’. Both Hamlet and Ophelia become Islamicised, adopting traditional Muslim costume; and both become from the perspective of the ruling regime ‘terrorists’. Ophelia is associated, as Yvette Khoury has observed, with the Palestinian cause (Khoury 2005), and dies as a suicide bomber; Hamlet (who adopts ‘shortened muslim dress and long beard’) shoots Polonius, and at the end of the play is seen leading the liberation army. I bear witness that there is no God but Allah and that Mohammad is his messenger… I will clean this land, I will make it pure, I understand, I do understand, but I will cleanse it for you, I will prepare it for your return, even if it costs me my life, I will clean it, I will purge it, blood will flow, I will make blood flow in torrents, I swear in my father’s name, I swear in the name of Allah. Where does this adaptation sit vis-à-vis both Arab Shakespeare and dominant theatrical interpretations of the play in the West? Al-Bassam’s Hamlet is not the passive figure of recent Arab plays, but rather recalls the hero Hamlets of the 1960s and 1970s. In some ways Al-Bassam has by-passed the previous two decades, and reconnected with an older Arabic tradition. The Al-Hamlet Summit is divided into sections corresponding to the Islamic times of prayer, which seems to echo Riyad ‘Ismat’s 1973 Damascus production, where the play was divided into three parts – huzn (sorrow), al-thawra (rebellion), al-shahadah (martyrdom) (see Al-Shetawi, p 48). HAMLET: The real enemy is here, in the palace, amongst us. LAERTES: There will be no nation to fight over unless we defeat Fortinbras. HAMLET: We’ll have no nation to lose unless we destroy the rot that devours us from within. HAMLET: … the time for the pen has passed and we enter the era of the sword … No more words … Words have been killed, they died on our tongues and in our ears, words are dead. We cannot us them anymore, now we must speak with our flesh. FORTINBRAS: I have biblical claims upon this land, it is empty and barren and my presence here is a fact that has not been invented. Insofar as there was a separate, local Arab tradition of adapting and appropriating Shakespeare, Al-Bassam’s work is obviously part of it. But by writing also in English, Al-Bassam has also chosen to work partially inside an Anglophone culture (or set of cultures), which is, as Michael Neill phrases it, ‘saturated with Shakespeare’: ‘Our ways of thinking about such basic issues as nationality, gender and racial difference are inescapably inflected by his writing’ (Neill, p. 184). Al-Bassam has explicitly confirmed that the work is ‘cross-cultural’, speaking from an Arab perspective but also to an English-speaking audience. For some The Al-Hamlet Summit was the work of a Westernised traitor that falsely approximated between Islam and the propagation of violence. For others, and I’m happy to say the majority and particularly the young, The Al-Hamlet Summit gave vital and much-needed expression to today’s Arab concerns and presented them to the West in a sophisticated and human form (Al-Bassam, 2003). Is it not the case that the portrayal of Hamlet and Ophelia as Muslim fundamentalists and suicide bombers will have the effect of exacerbating – even promoting – the racist assumptions typified by the tabloid press? (74-5). But then Smith questions his own authority to make such judgements: ‘Who am I as a non-Muslim, non-Arabic speaking Englishman to tell Sulayman Al-Bassam how to write and direct his adaptation?’ (Smith, p. 75). These critical responses are all however testimony to The Al-Hamlet Summit’s capacity to generate dialogue across borders, dialogue that challenges and questions and enters reservations, but remains fundamentally an international conversation. As such it offers an alternative, an urgently imperative alternative, to mutual misunderstanding and reciprocal violence. What Al-Bassam called the ‘cultural symbiosis’ manifest in the play was clearly designed to form a ground of dialogue between East and West. The move from the earlier versions, which were adaptations of the Shakespeare text, to a more contemporary form which allowed for the fuller expression of Arab experience, was clearly critical in this process. America just got closer…’). It was September the 11th and news from New York was just beginning to stream across the television screens. In all the confusion of that night, I remember the words of one of the Palestinian actors: ‘The hell in New York today will bring hell to Ramallah tomorrow’ (Al-Bassam 2003). This is the negative side of globalisation. But from Blair’s perspective, globalisation also provides the potential solution to such problems. Blair reflects that the West can ‘use the power of community to bring the benefits of globalisation to all’ (121) in the form of truly universal values: ‘values of liberty, the rule of law, human rights and a pluralist society… Values that are “universal and worthy of respect in every culture”’ (122). The vehicle for disseminating these values globally is economic penetration: increased trade flows, and greater involvement of the private sector in public finance (121). This is quite a different approach from Tony Blair’s vision of a universalisation of enlightenment values of liberal democracy via the spread of free-market capitalism. Though he does not speak for Islamic fundamentalism or terrorist violence, Al-Bassam shows them as the inevitable consequences of an alliance between native Arab despotism and the economic machinations of the West. In Shakespeare Hamlet is driven reluctantly towards revenge, and in The Al-Hamlet Summit Hamlet and Ophelia seem to have no option but the bloody and suicidal course they undertake. Between 1608, when Shakespeare’s lines echoed emptily from the deck of the Red Dragon around the Arab world, and 2001, when Al-Bassam’s adaptation found a common acceptance across both East and West, empires rose and fell. But one thing changed. In 1608 Shakespeare was virtually talking to himself. 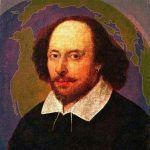 In 2001 Shakespeare was the substance of a global conversation. ‘Everything is linked’ in the globalised world, either through violence or through an acceptance of reciprocal ‘implication’. The Al-Hamlet Summit opens a conversation over the ground of our reconciliation. I am very grateful to Margaret Litvin, Yvette Khoury, Peter J. Smith and Sulayman Al-Bassam for providing material used in the writing of this introduction. Al-Bahar, Nadia, 1976. ‘Shakespeare in Early Arabic Adaptations’, Shakespeare Translation, 3. Al-Bassam, Sulayman, 2003. ‘Introduction to the publication of The Al-Hamlet Summit’ in Theatre Forum Magazine, 22 ( Winter/Spring). Blair, Tony, 2002. ‘The Power of World Community’, in Mark Leonard, ed. Re-Ordering the World. London: Foreign Policy Centre. Boas, Frederick S., 1923. Shakespeare and the Universities and Other Studies in Elizabethan Drama. New York: Appleton. Holderness, Graham and Bryan Loughrey, 2006. ‘Arabesque: Shakespeare and Globalisation’. Essays and Studies: Globalisation and its Discontents. English Association/Boydell and Brewer. Kastan, David Scott, 1999. Shakespeare After Theory. London: Routledge. Khoury, Yvette, 2005. ‘”Glaring Stare”: Middle Eastern Presentation of Ophelia’. Paper presented to the Modern Language Association, 2005 Annual Convention, seminar on ‘Gender in Arabic Interpretations of Shakespeare’, Washington DC. Litvin, Margaret, 2005. ‘Sulayman Al-Bassam’s Al-Hamlet Summit in the Arab Hamlet Tradition’. Paper presented to the American Comparative Literature Association, 2005 Annual Meeting, Pennsylvania State University. Loomba, Ania and Martin Orkin, eds, 1998. Post-colonial Shakespeares. London: Routledge. Smith, Peter J., 2004. ‘Sulayman Al-Bassam’s The Al-Hamlet Summit in an Age of Terrorism’. Shakespeare Bulletin, 22:4, 65-78.